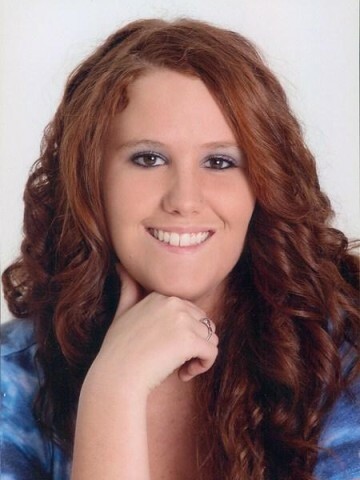 Megan Briana Rawlins, age 20, passed away July 3, 2013. The family will be receiving friends at West Harpeth Funeral Home on Friday, July 5th from 4:00 p.m. until 8:00 p.m., and Saturday, July 6th from 10:00a.m. until service time at 11:00 a.m. Megan is dearly loved and will be missed by all. I’m deeply sorry for your loss. Prayers will be with you during this time. Thinking of you . Praying for your sweet family. So sorry for your loss. My sweet Megan, I will miss you so much and I love you forever beautiful girl! I did not know Megan, but heard from a dear friend that knew her well. Keeping you all in my thoughts and prayers as you lay this precious young lady to rest. May God place his arms around each of you and give you strength and understanding during this difficult time. Our hearts are heavy knowing the pain that you are feeling at Megan’s passing. We are lifting every family member and friend to God and asking Him to fill us all with sweet peace and comfort. I was depy saddened and shocked to hear of Megan’s passing. I remember all the good times we had together when we were in elementary school . My heart and prayers are with you and your family. May GOD comfort you and your family during this time of sorrow. No words can express how sorry we are for your loss. Our love, prayers and thoughts are with you. Lifting you and your family up in prayer that God wrap His arms around you to comfort you during this tragic time. Megan is so precious to all of us and knowing that she’s now home w/Jesus is really the best we can all hope to achieve. Bless you, little Miss Megan. So shocked and saddened at this news. My favorite memory is how beautiful Megan and Christian were on prom night. Hoping for comfort for the family. May the God of all Comfort comfort each of you. He assures us that the day is soon to come in which he is going to wipe away the tears of sorrow from our eyes forever and death will be no more. He also promises that all those in the memorial tombs graves will hear his voice and come out. Megan I choose to remember you with your smiling little face,bright eyes of a sweet little girl with long beautiful hair that warmed my heart and loved her dad. You are with your Heavenly Father now looking down with that big smile still loving your dad as he always loved and adored you. Until you are together again keep that smile, look down,on him and warm his heart with your love. God Bless and rest in peace my forever sweet precious little friend. Thanks for the smiles that warmed my heart and brightened my day. You will be missed.